A collision on the A2280 has partially blocked the road eastbound, according to traffic reports. The collision, reportedly involving two cars, happened on the A2280 Cross Levels Way between Broadwater Way and the A2290 Lottbridge Drove (Lottbridge roundabout). There are reports of congestion to Eastbourne Hospital and to the nearby Currys PC World store. 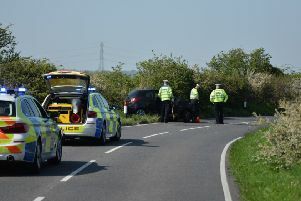 The collision was first reported to AA Traffic News at 5.27pm.